This EP is a collaboration between Electronic Obsession and 4mg Records. Pressed in 250 numbered copies with different sleeves and inserts on each label. Imiafan recorded during the summer of 2005 in St. Catharines, ON, Canada. Machinepop recorded during the spring of 2006. Mastered at Ollilab. Toothpaste. Darkwaves flowing hovering upside down, inside out over old school beat programming. Old school as in the beats sound Industrial and at the same time like Juan Atkins a.k.a. Model 500. Those lyrics with the warbled sinister vocoder treatment sound so cold! So cold in fact that I just had to know what the lyrics actually said?! So I in order to do this I had to get in contact with the original source which was Imiafan! So for all, you non-Slovakian peoples here is Imi explaining the lyrics to me. "I lived that time in Canada jamming sometimes with my friend from Poland. I remember to tell him to shout something in polish (his language) about Toothpaste to my loop. I did not care much about what he shouted. I recorded it and then just cut in the loop to fit the rhythms. It was back in 2004. 14 years ago. oh Man! I recorded my friends random phrazing in polish about Toothpaste by my friend to Microkorg vocoder mic. teeth hygiene in morning and evening. Sorry to break the mystique? Anyway back to the track. Slow cold industrial conversations about brushing those molars, incisors etc. Back in the day i.e. I never knew about anything else about techno house electro other than that it was created by producers from the UK USA and Europe. I live in the UK but I know that Europe is large. Europe has a lot of countries included. I would love to have heard Slovakian techno electro back then. But then again those times were different for many reasons! 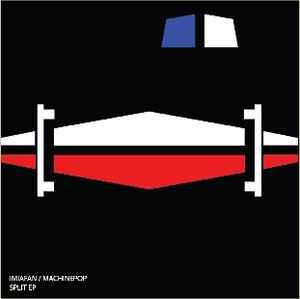 P.p.s Check all the other tracks as Machinepop just like Imiafan is well crafted! An interesting release, especially "Toothpaste", the track really shows off the influence Kraftwerk has had on Imiafan and he sounds like he is from Detroit rather than Bratislava in Slovakia (although he is currently based in Canada). If you like music by artists such as Dopplereffekt and Anthony Rother this release is well worth checking out for Toothpaste alone.